The Turon Technology Museum displays the engines of the Industrial Revolution covering the period 1850-1950. Exhibits include the steam and internal engine and the internal combustion engine and its development. Park the carriage and water the horses while you have an ale, unless you are here for Court. At least that was the case in the 1830’s. Hear the stories of convicts and early pioneers that called Hartley home, on a guided tour of the Greek Revival Courthouse and St Bernard’s Catholic Church. The remnants of the Blast Furnace stand tall reminding us that Lithgow was the birthplace of the Australian iron and steel industry. 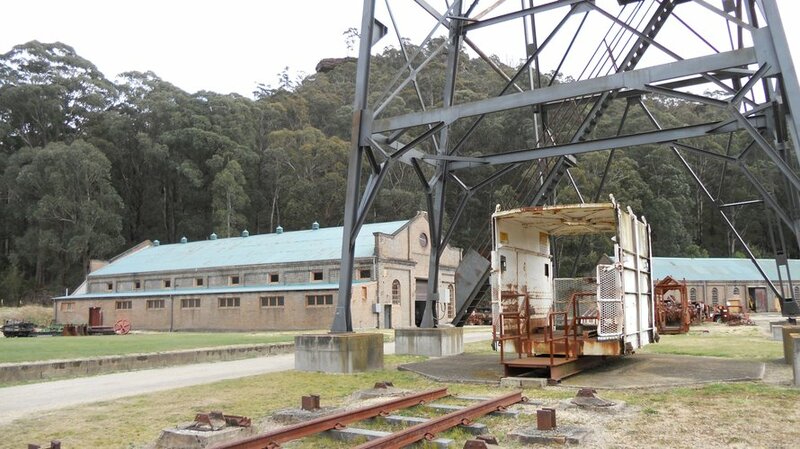 Constructed in 1913, the Lithgow Blast Furnace, at its peak, produced 105,000 tonnes of pig iron produced primarily for use by the Trans-Australia Railway. Recent improvements at the site have provided waling paths across the site and informative signage with images of how things used to be. Ron Fitzpatrick’s inspired metal creations have been astounding people for years – beautiful and mysterious mirrors, clocks, candle holders and sculpture, lovingly handcrafted on the premises in the idyllic Hartley Valley. Along with a fabulous range of silver jewellery, Talisman Gallery is unlike anything you have seen before. The poppet head towers above the first State Government owned coal mine, signifying the struggle to bring the black gold to the surface. The museums collection of memorabilia and artefacts depict working life in Australia’s coal mines. Lithgow State Mine’s newest attraction is the spectravision presentation called “Fire in the Mine” and is the latest amazing exhibition at the Lithgow State Mine Heritage Park. Listen to Marion Curry tell her moving story of the dangers faced by miners in their everyday work. The exhibition utilizes the spectravision technique to project a moving image into the display, an experience that needs to be seen to be believed. Group tours at any time by appointment.